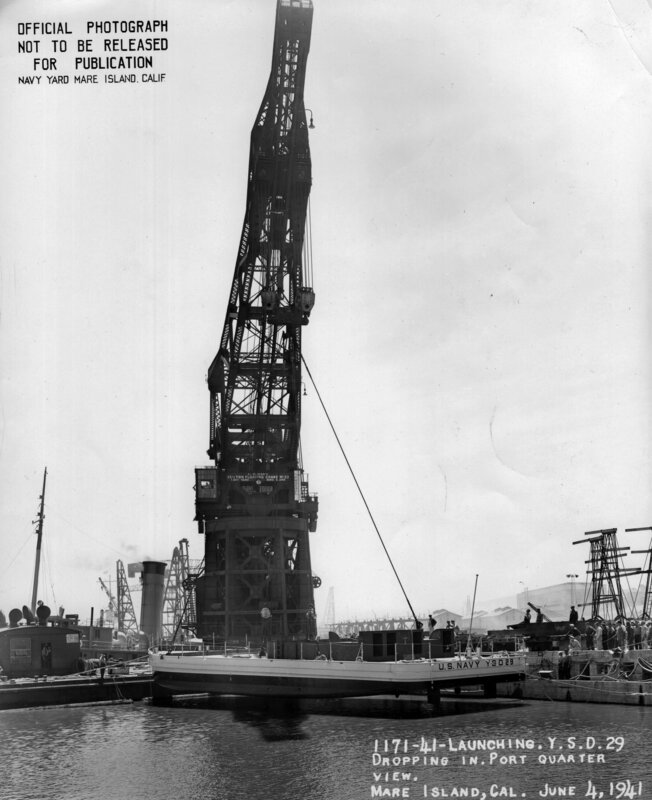 Steel-hulled all electric Floating Crane No. 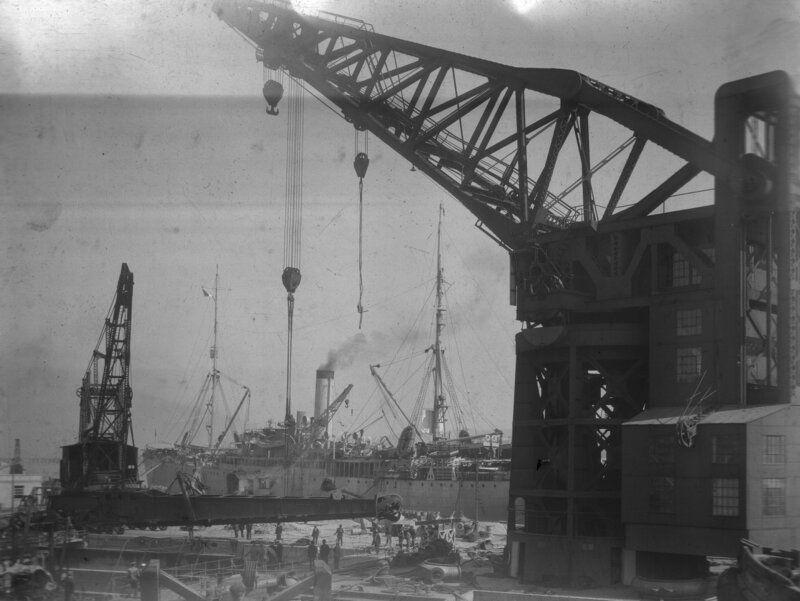 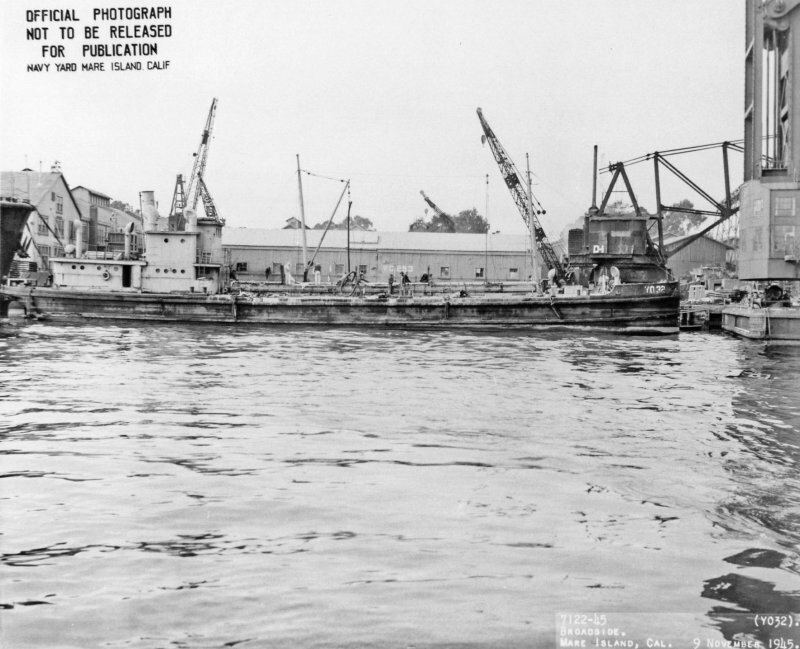 33 was assembled at Navy Yard Mare Island in 1918 by Wellman-Seaver-Morgan Co.
YD-33 alongside USS California (BB-44) at her outfitting berth, 30 March 1921. 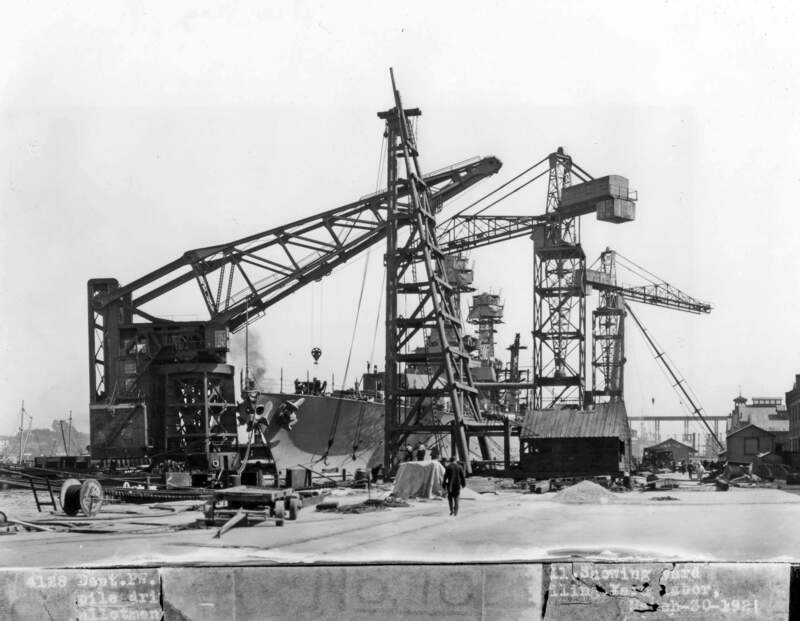 Note: One of California's forward 14" guns has been installed. 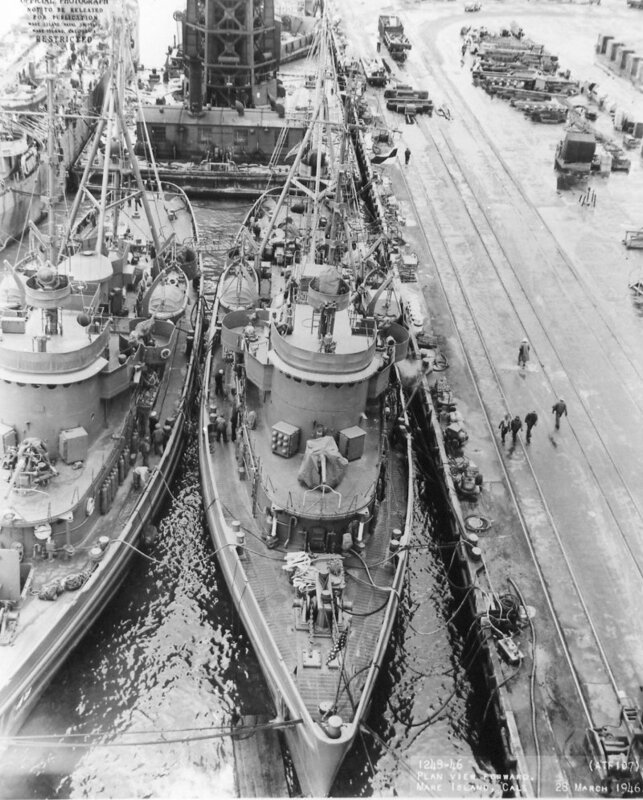 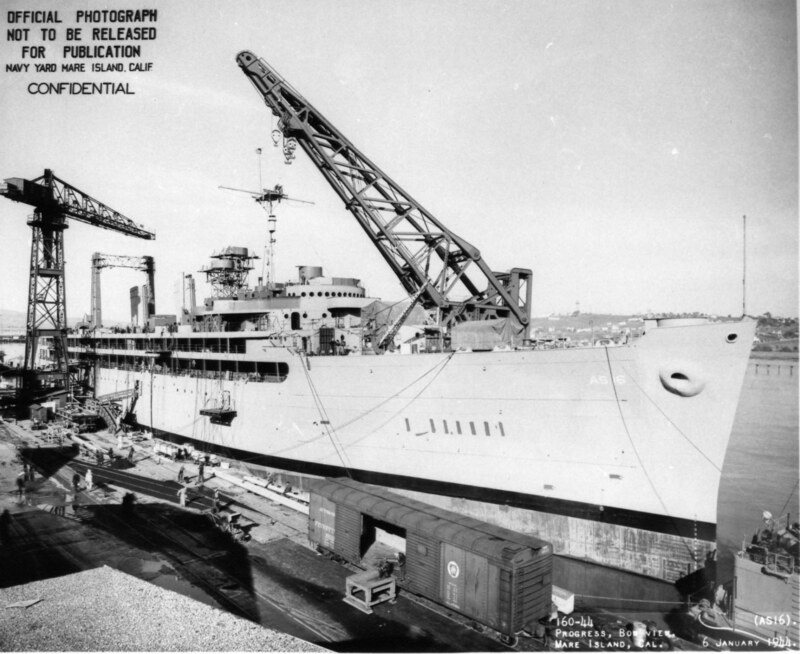 YD-33 alongside USS Howard W. Gilmore (AS-16), 16 June 1943, while the new tender was being completed at Mare Island Navy Yard. 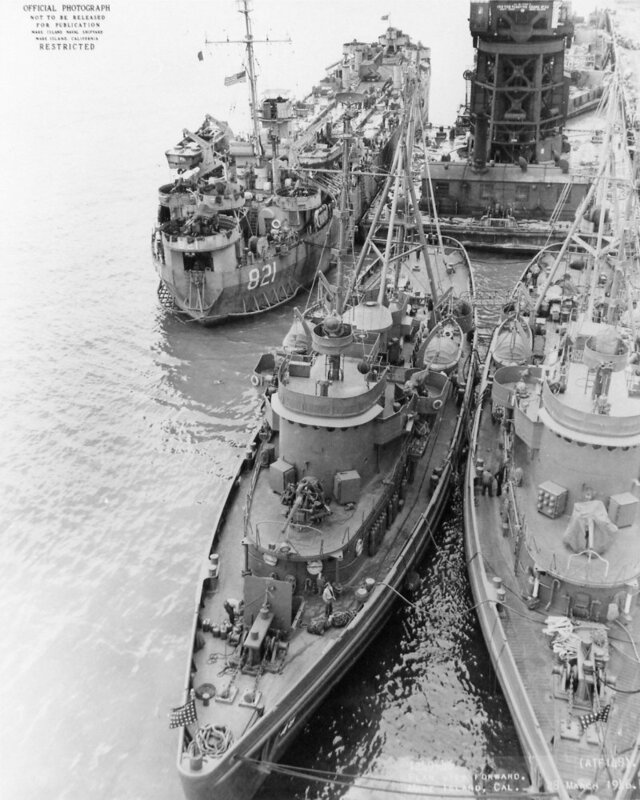 Visible on the far right is the bow of USS Fleming (DE 32). 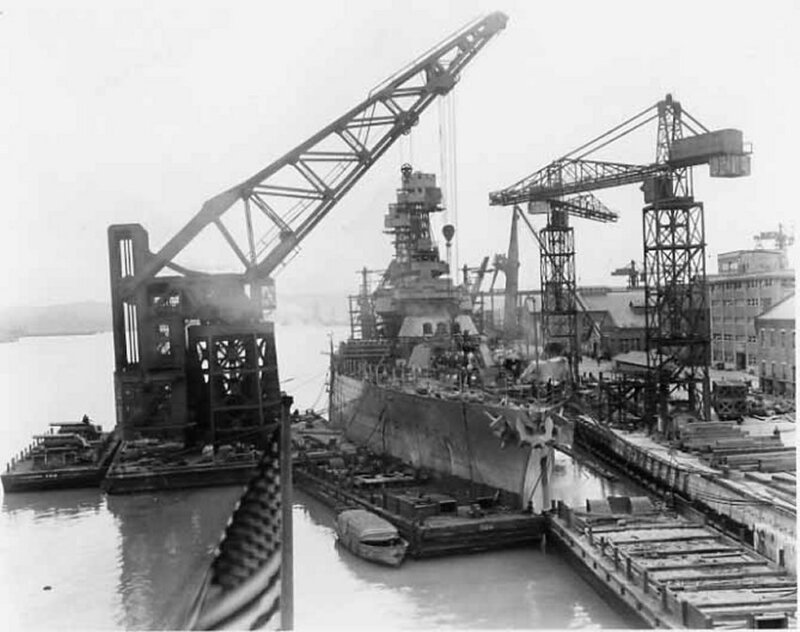 YD-33 alongside USS Howard W. Gilmore (AS-16) at Mare Island Navy Yard, 6 January 1944. 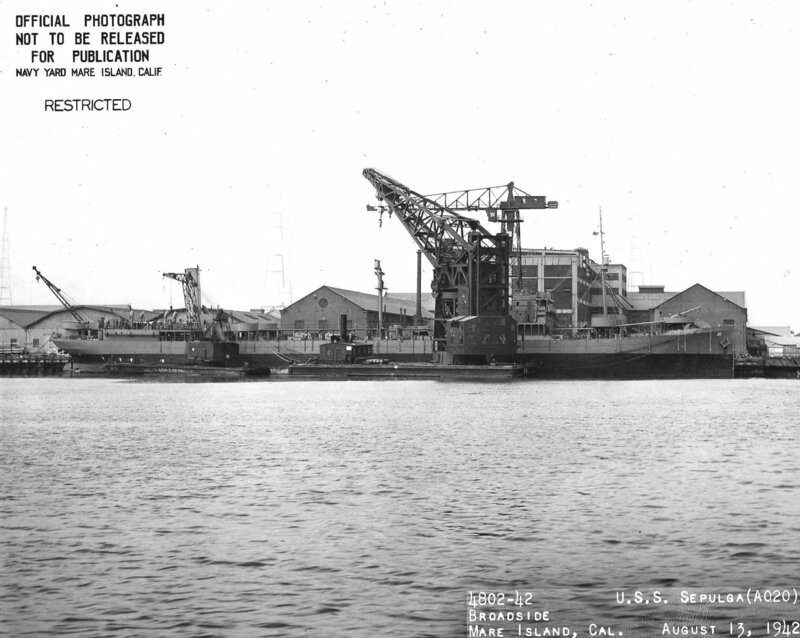 YD-33 alongside USS Howard W. Gilmore (AS-16) at Mare Island Navy Yard, 5 July 1944. 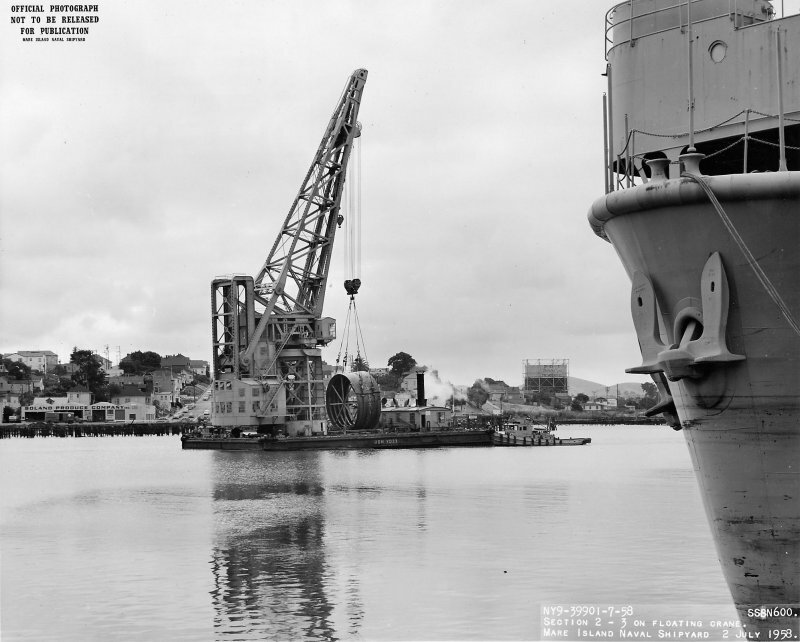 YD-33 at right at Mare Island, 9 November 1945. 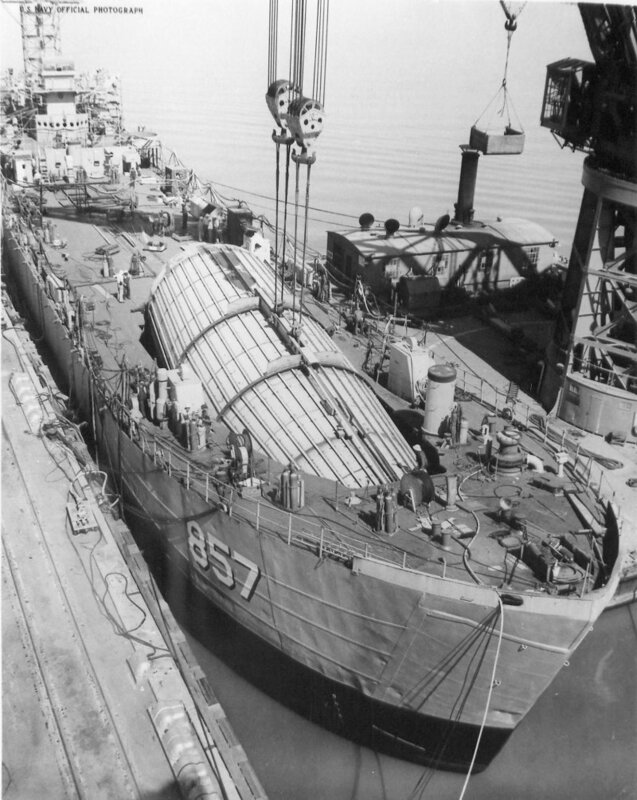 The bow of USS ARD-11 of this photo of YO-32. 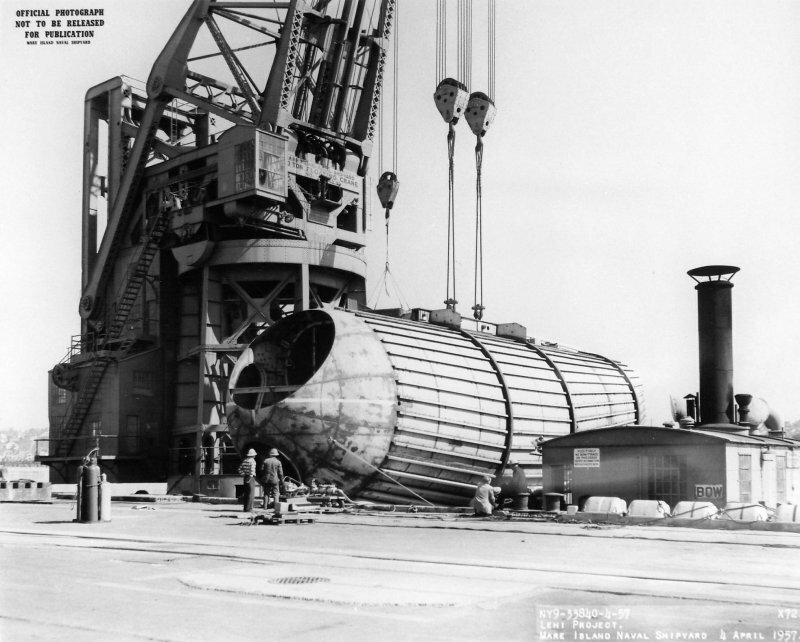 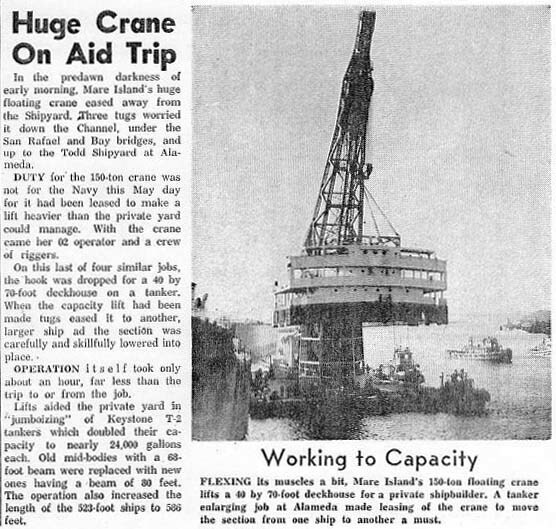 YD-33 transporting a hull section of SSGN-600 (later Theodore Roosevelt (SSBN-600) from berth 15 to the building ways at Mare Island, 2 July 1958. 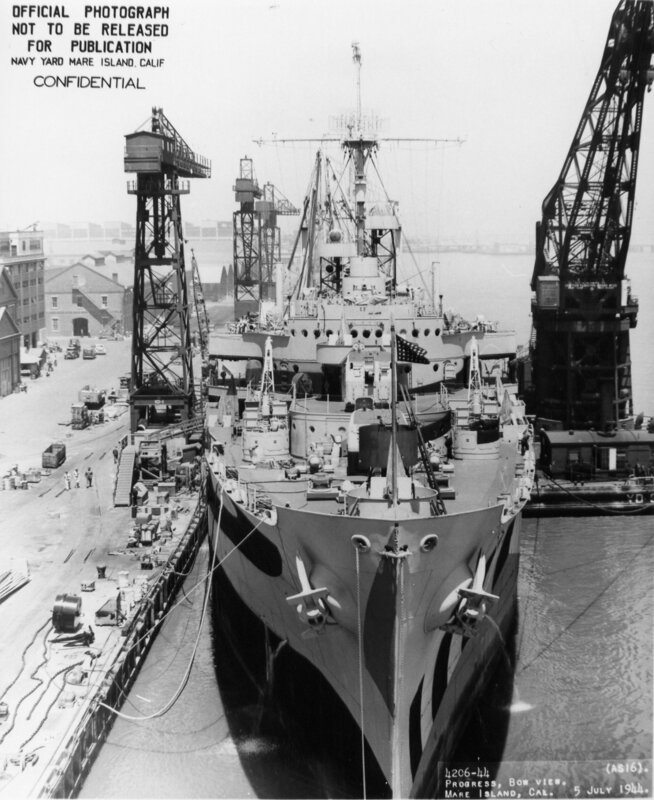 The bow of USS ARD-32 is at right. 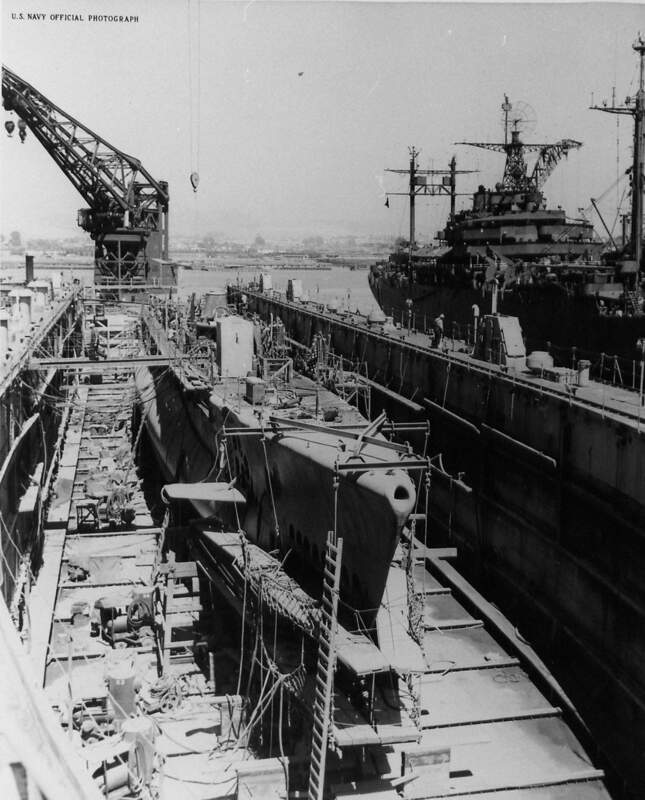 YD-33 and YRB-20 in the background of this photo of USS Caiman (SS-323) in Mare Island's dry dock #4 in February 1967 while in overhaul at the yard. 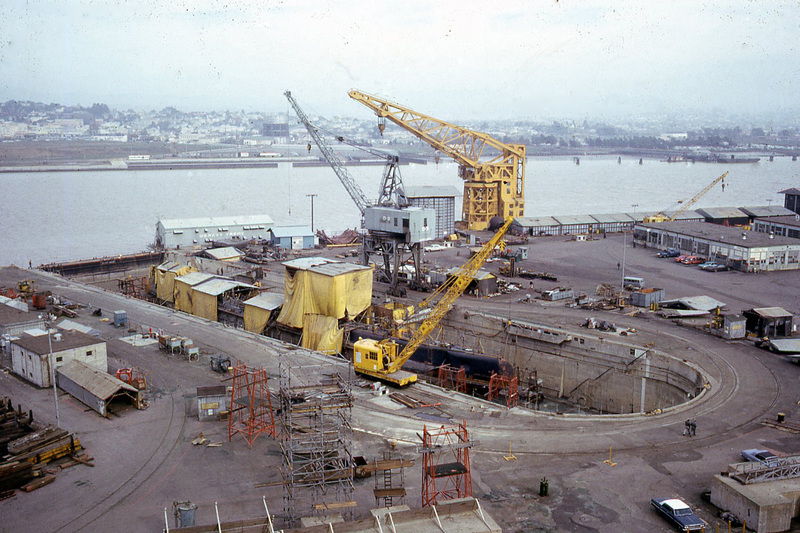 YD-33 and Satanta (YTM-270) support USS Guitarro (SSN-665) to prevent her from capsizing after the submarine's accidental sinking in the Napa River at Mare Island Naval Shipyard, 15 May 1969.